A long time series in crop yield is usually expressed as a long-term trend and a short-term fluctuation due to agricultural technological advance and climatic anomaly. The real climate risk is related to the short-term fluctuation in crop yield. In the paper, the climate risk of maize yield response to long-term climate variables is tested with the long time series (1961–2015) by a trend base line method. The long time series of maize yield is divided into short-term fluctuating meteorological yield and long-term trend yield. The long time series of climate variables are also divided into fluctuating variables and trend variables. After that, Pearson correlation analysis between fluctuating maize yield and fluctuating climate variables is used to identify risk factor causing maize yield fluctuation. Our results reveal that the main risk factors are night-time precipitation and extreme high temperature in growing season. 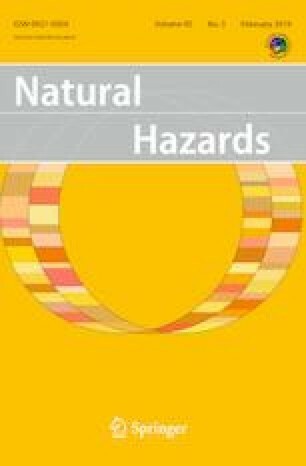 Comparing climate risks in maize-producing provinces, much more climate risks are identified in some regions such as Liaoning province. The results provide useful information for reducing maize yield loss under climatic change. The study is supported by the National Natural Science Fund of China (No. 41571175, 41330531, 41671362) and the special funds for basic research and operation of Chinese Academy of Meteorological Science (2017Y003, 132020010406). We thank Leonie Seabrook, PhD, from Liwen Bianji, Edanz Group China (www.liwenbianji.cn/ac), for editing the English text of a draft of this manuscript.